The Commonwealthy podcast is hosted by John Tsarpalas. The weekly podcast is directed at candidates, activists and organizations that support free markets and limited government. Would you like to be an influencer in your town or city? Do you have aspirations to run for public office? Do you believe in the importance of small, limited government? Then the Commonwealthy podcast is for you! • What is the purpose of Commonwealthy.com– learn the purpose of this podcast and who it is meant to serve. • Who is John Tsarpalas – learn who is this professional campaign trainer, winning campaign and candidate coach. • Why Commonwealthy welcomes questions – Ever want to ask a professional campaign consultant your most pressing questions? Find out how you can get the answers you need to win your election. Something you don’t understand about campaigns? Just ask. 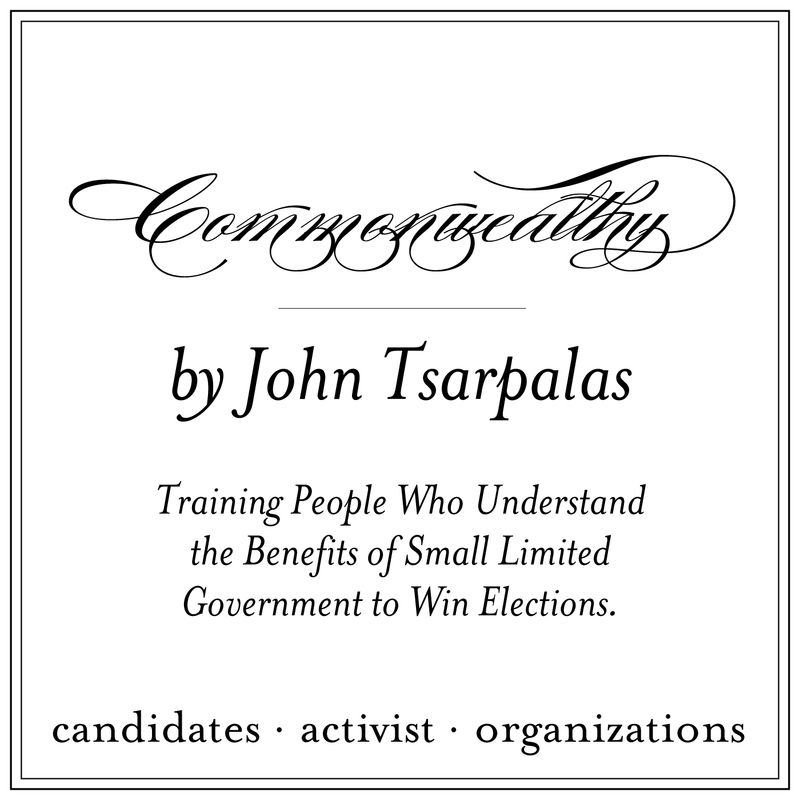 This entry was posted in Podcasts and tagged commonwealthy podcast, John Tsarpalas, understand about campaigns, win your election. Bookmark the permalink.